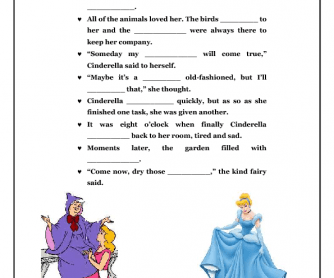 This worksheet contains a gap-filling activity based on Disney Cinderella Storybook. 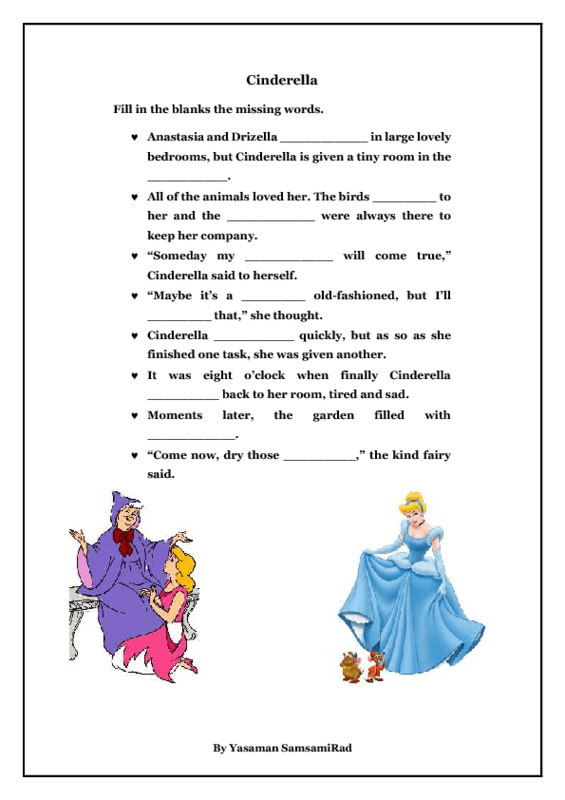 First, you can encourage the students to talk about their favorite Disney characters. Next, you can ask your students to watch and write the missing words. Finally, you can ask them to say how they feel about different characters of Cinderella cartoon.